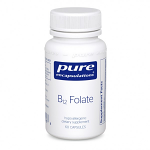 Pure Encapsulations was founded to create the highest quality hypoallergenic supplements. Since 1991, they have set the standards for providing the highest quality nutritional products available, and have established an unprecedented quality control program. 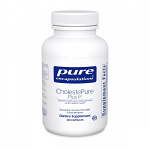 Today, Pure Encapsulations are the choice of over 36,000 health professionals in the US and Europe. 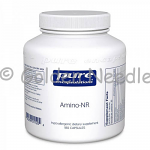 Pure Encapsulations produces a complete line of science-based nutritional supplements. These products are pure and hypo-allergenic. Label claims, potency and purity for all Pure Encapsulations products are verified by 3rd-party laboratories. At Pure Encapsulations, ingredients and finished product are tested for potency, identity, solvent residues, microbial contaminants, heavy metals (Including mercury, arsenic, cadmium, and lead). Pure Encapsulations is NSF-GMP registered in the United States and GMP certified in Canada. Pure Encapsulations exceeds the standards of the United States Pharmacopeia (USP) for supplement manufacturing. Offers vitamin B12 blend for nerve and mitochondrial support. Now with SensorilTrim *Moderates carbohydrate intake and helps lessen appetite by supporting neurotransmitter function.